I Heard Teeth Whitening Causes Sensitivity. Is This True? For many patients, teeth whitening is a great way to get rid of unsightly stains and get a smile that looks whiter, brighter, and healthier. However, some patients do experience sensitivity after teeth whitening treatments. This sensitivity often comes and goes, though it can especially happen when the teeth are exposed to air, or hot or cold temperatures. The sensations are referred to as “zingers” and may last a couple days after the treatment. 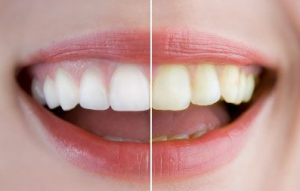 What causes sensitivity after teeth whitening? During a teeth whitening session, the whitening agent enters the tooth enamel. Whitening agents contain peroxide, which can irritate the nerves in the teeth and cause some sensitivity. The teeth remain porous for a short time after the treatment, so the patient may experience sensitivity that should last a few days at most. Tooth sensitivity after a whitening treatment is not indicative of tooth damage; it simply means the nerves in the teeth are reacting to the treatment. The sensitivity is temporary, but there are a few things patients can do to feel more comfortable in the meantime. If you experience sensitivity after your treatment, taking an over-the-counter pain reliever should ease your discomfort. If you have experienced sensitivity in the past, it may be a good idea to take the pain reliever before your whitening treatment. Dr. Rayek may be able to provide you with a fluoride treatment that will minimize sensitivity after whitening. Use a toothpaste created for sensitive teeth, and be sure you are using a soft-bristled toothbrush. Brush your teeth gently to avoid further discomfort. Avoid beverages that are very hot or cold while you are experiencing sensitivity. 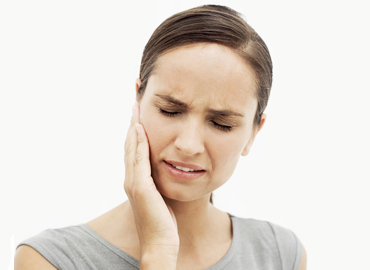 If the sensitivity does not go away after a few days, call Smiles at Fairfax Corner for an appointment. Many patients experience only minor sensitivity after teeth whitening and find that the results of their treatment are well worth the temporary discomfort.